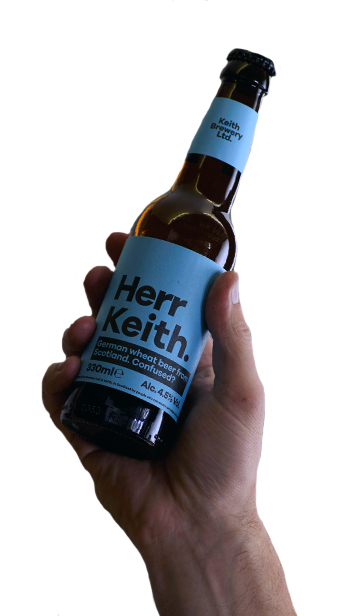 Herr Keith - Keith Brewery Ltd.
Passionate about beer, not websites. A delicious German Wheat Beer with a difference. It comes from Scotland. And it’s cloudy thanks to billions of naturally occurring yeast cells. Oh, and it tastes of bananas. Which is what counting a billion yeast cells can drive you. Ingredients: Water, Barley, Wheat, Hops and Yeast. © 2019 Keith Brewery Ltd. All rights reserved. By entering the website, I confirm that I am of legal drinking age.